Months of tense negotiation between Adult Swim and Rick and Morty creators Dan Harmon and Justin Roiland culminated in the cartoon getting a massive 70-episode order, which equals out to seven 10-episode seasons. The episode order will carry the series over the 100-episode baseline for syndication, which means we will probably be seeing irreverent sci-fi cartoon reruns on TV for the rest of out lives. Hopefully, Rick and Morty’s notoriously chill fans don’t end up ruining any service workers’ lives in celebration. 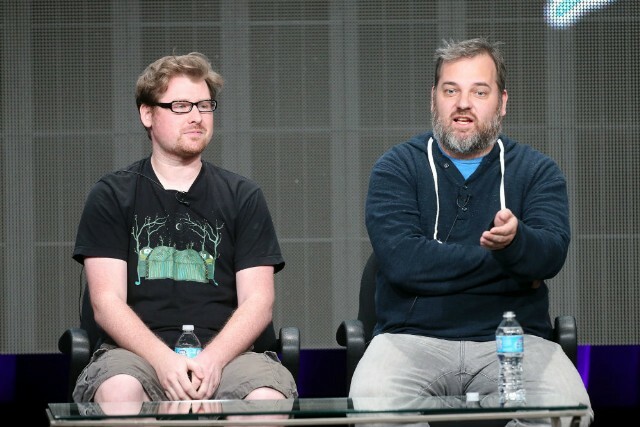 Co-creators Justin Roiland and Dan Harmon have been especially precious about the comedy, spacing out seasons and waiting as long as two years before the most recent run aired. Rick and Morty will be kicking off its fourth season at some indeterminate point in the near or far future. I’m feeling great. Had to make up my mind that this wasn’t a guarantee, for the sake of my own emotional well-being. But now the deal is closed and it’s official, so I can finally actually breathe and be as excited as I’ve wanted to be. I’m ecstatic. Rick and Morty is definitely the most freeing, most fun thing I’ve ever worked on. It’s had the biggest impact. I love everything I make—and hate it, I guess—but I have a very special relationship with Rick and Morty, and getting a 70-episode pickup means that I can actually really focus on it, and loving it won’t be taking away from anything else. I can let Rick and Morty take away from everything. We’ll see how long the notoriously prickly and temperamental Harmon’s good mood lasts.